Are Keira and Jarrod back together? It certainly looks that way. Jarrod Woodgate and Keira Maguire being back together is the start to 2019 we all need. We know it’s more customary to make a resolution than a wish on New Year’s Eve, but if we had secretly wished for a certain Bachelor in Paradise couple to get back together, well… it just came true. 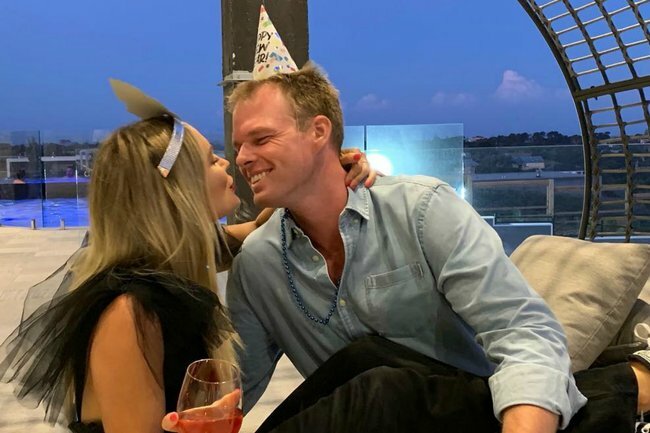 Keira Maguire and Jarrod Woodgate have all but confirmed they’re a couple again, looking like a lot more than just friends in photos of them celebrating New Year’s Eve together. Tell us that isn’t a photo of a couple in love? Keira posted the snap of her sitting on Jarrod’s lap to her Instagram on New Year’s Day after earlier teasing a reunion. The former Bachelor contestant posted a throwback photo of her and Jarrod together kissing under a waterfall on New Year’s Eve, saying it was her favourite photo of 2018. That, of course, sent fans into a spin, speculating whether or not the pair had decided to give their relationship a second go or not. After all, why would you put a photo of yourself kissing your ex on Instagram if you didn’t still have warm and fuzzy feelings for him? And it turned out we were right to get our hopes up. It also means that brunch date they went on in November, was most likely the ‘testing the waters’ reunion date we all guessed it might be. Let’s hope the pair have spent the time since working through the issues they say caused them to break up in August. At the time, both shared that it was Jarrod being unable to handle Keira’s job as an Instagram influencer as the main reason they broke up – each with their own spin of course. Keira also said that Jarrod’s parents contributed to their break up because she found it “overwhelming” being around his folks so often. As Keira didn’t appear in any of Jarrod’s Christmas Day snaps, the couple might be taking it a little slower this time around. Either way, this is pretty much the best start to 2019 we could have hoped for.